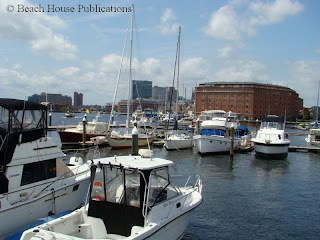 We've spent about two weeks in Baltimore's Inner Harbor and at Fells Point sampling all that the area has to offer. We have mixed feelings about the area and the tourist destination it has become. I suppose that being in small communities and remote anchorages for months may have jaded our perception of what we expected once we arrived back in the big city. Fells Point is just as we remember it. By some estimates there are over 120 small restaurants and bars in the Fells Point neighborhood and the area is visited by thousands of tourists each year. If you enjoy the nightlife, musical entertainment, and a whirlwind of crowds, you will love Fells Point. We can only eat and drink so much and it's time to move on to quieter waters. This isn't really a family friendly location and one of the reasons we stopped here was so our family could come and visit. 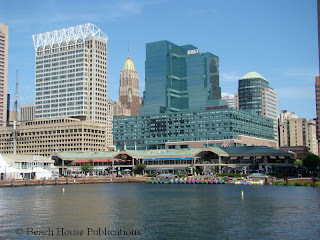 Fortunately the harbor provides a very colorful boat ride, so a slow cruise on the Patapsco River is always a fun day. We stayed at Henderson's Wharf Marina. 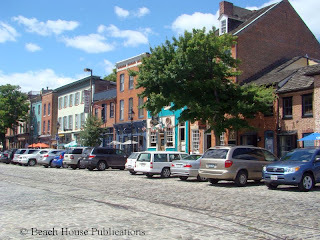 The location is in Fells Point instead of the busier Inner Harbor, plus the fact that the dockage rates are some of the lowest in the harbor helped to make our decision. We found the staff at the marina friendly and helpful, but it offers little else. The floating docks have seen better days and the location of the marina makes almost all of the slips a bit bouncy from the boat traffic coming and going from the Inner Harbor. Sometimes it gets downright disturbing even though the speed limit past the marina is only 6 miles per hour. And we all know that every boater obeys speed limits. The docks have many loose boards that move under your feet as you walk. They seem to not get repaired until it becomes serious. The restrooms, laundry and office are in a trailer at the far end of the parking lot from the docks. They are okay, but nothing to brag about. It can be a very long walk from many of the slips to the rest rooms. They are small, but do have showers and are cleaned regularly. We had mail sent to us and it was tossed on a shelf in the laundry room which isn't locked during the day. The parking lot is a large gravel lot and there is an entry gate that requires a pass card to get in. There is also a gate at the dock entrance which requires the same pass card. But we found it very concerning that the main gate for the parking lot was often left open and the gate at the dock entrance was tied back so anyone could stroll down the docks. Even though this is a tourist destination, downtown Baltimore is not one of the safest places to visit. Crimes against tourists are rising and a concern to the local businesses, yet simple security measures are ignored. It seems that helicopters are a major mode of transportation and they fly over the harbor area day and night. They can be quite loud and annoying. If there is a game at the stadium, they will circle overhead for hours at a time. A plus is the marina is part of the hotel next door and staying at the marina give you access to the hotel facilities. We used the gym/exercise room regularly while we were there. Also, the staff at the marina is friendly and courteous. There are a couple of grocery stores and other shopping nearby, but it's a fair walk, especially carrying bags of groceries. Some form of transportation might be needed. The Post Office is a few blocks away, but is closed twice a day for an hour each closing. Why, we aren't sure. We did find 2 good ice cream parlors and a gelato shop. But this is a tourist destination and prices are high. We paid $5.00 for a small cup of ice cream. Most everything is expensive, but if you check the restaurants for daily specials you can find some good deals. Beware of the drinks, they can increase your bill considerably. We were also approached by panhandlers everywhere we went. This was a problem we have not experienced in any other tourist area. They all have a sad story to tell. A farmers market is held in the park on Broadway every Saturday, and a swap meet every Sunday with lots of tables displaying all kinds of wares. The famous Broadway Market is half open with part of it under construction. There seems to be construction going on everywhere. I remember well when Baltimore's Inner Harbor was nothing but old abandoned wharfs, closed down warehouses and a section of the city that most people avoided at all cost. 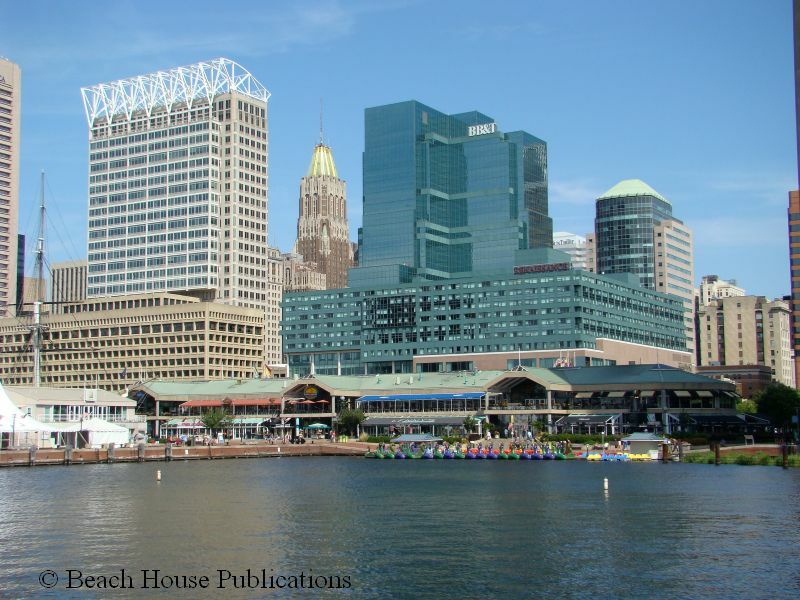 Development of the harbor actually began in 1958 and progressed slowly over decades to become Baltimore's showcase and a major tourist destination. 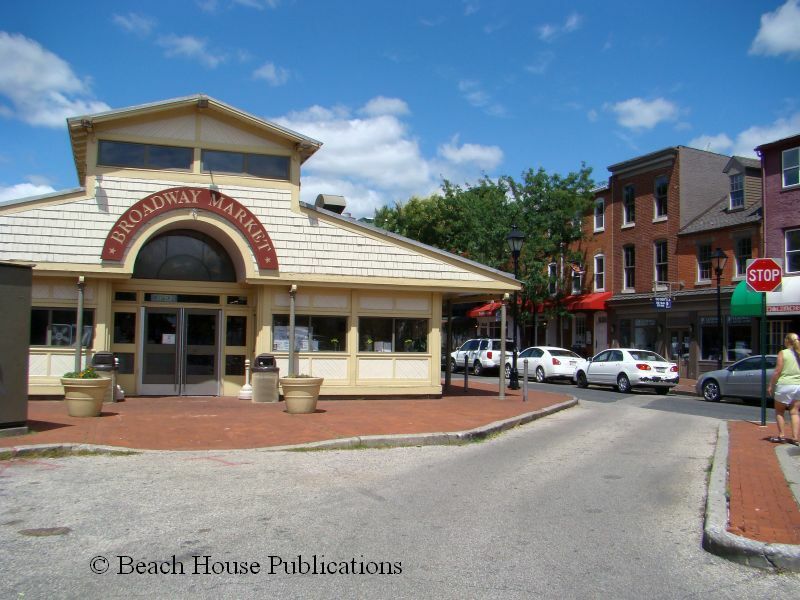 The Rouse Company opened Harborplace on July 4, 1980 and the city found itself revitalized. The Inner Harbor has worked hard to make itself a family destination and soon became a worldwide tourist destination. Food and drink are plentiful, but so are the many other attractions that bring millions of people here every year. There are any number of water cruises available from mock pirate ships, to day cruises, to just cruising around and visiting the many points of interest by one of the water taxis that crisscross the harbor every day. The city has a free bus service for the downtown area called the Charm City Circulator. Most everything is within a short walking distance and taxis are plentiful for traveling a little farther afield. 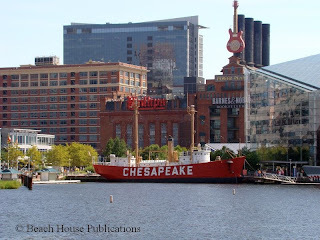 Some of the main attractions are the Maryland Science Center, one of the oldest scientific institutions in the United States, and includes an Imax theater, the world renowned National Aquarium, the Baltimore Maritime Museum featuring the USS Torsk, the USCGC Taney, the Lightship Chesapeake, the Childrens Museum and many, many more attractions. We have enjoyed the Inner Harbor over the years and it has been a joy to watch it expand and grow. Many of the adjoining neighborhoods have also benefited from the revitalization. We highly recommend planning a multi-day visit if you find yourself in Baltimore. All of the marinas that surround the inner harbor start at $2.00 per foot for transient dockage. Some offer better rates for weekly and monthly stays, but it is expensive compared to marinas where we have stayed from Virginia to Florida, including the Bahamas. You can find plenty of room to anchor around both Fells Point and the Inner Harbor, and there are even a few free docks at which to tie. Keep in mind that these free docks leave you exposed to the hordes of tourists that walk the promenade. It is indeed a great place, but we soon found it was time to move on to somewhere with a little slower pace.